Lots of testosterone in those pictures! 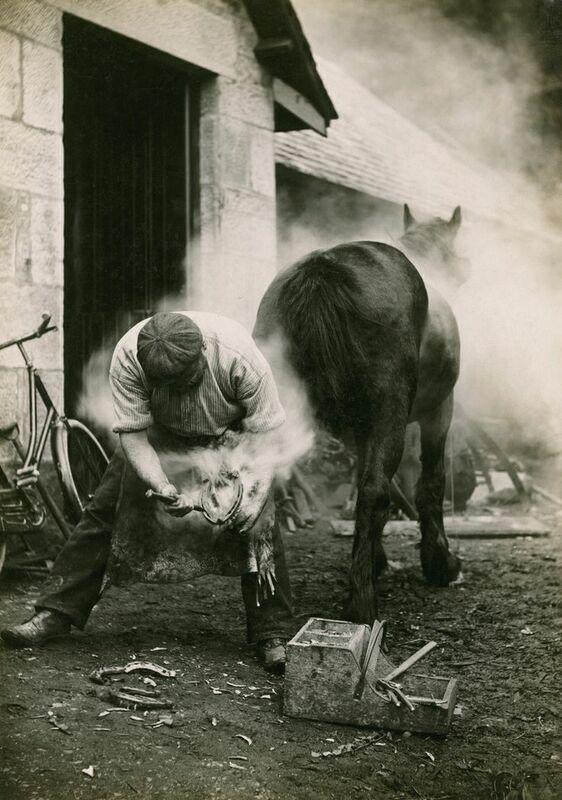 I love the first, with the smoke wreathed around the smithy and the horse, the second looks like a still from some kind of fairytale, but I can’t decide if the blacksmith is a ‘bad’ or a ‘good’ guy! 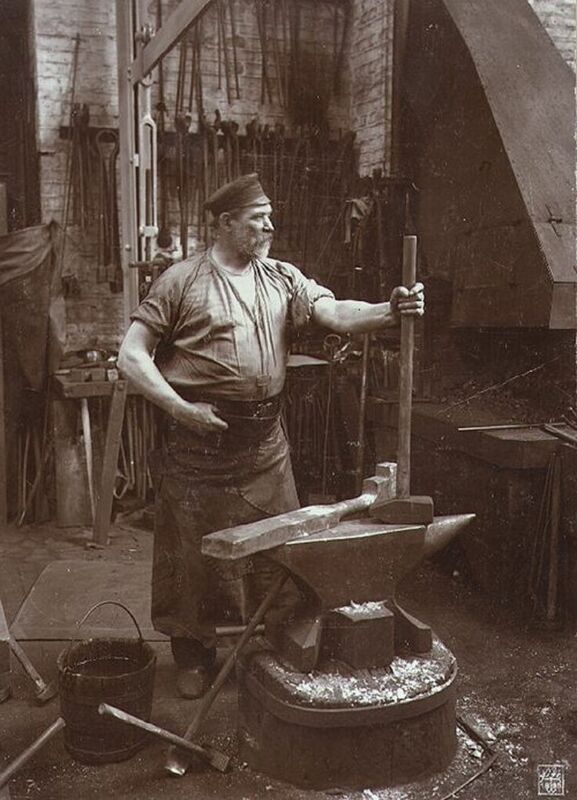 I got interested in searching photos of blacksmiths because of a short story I’ve written. 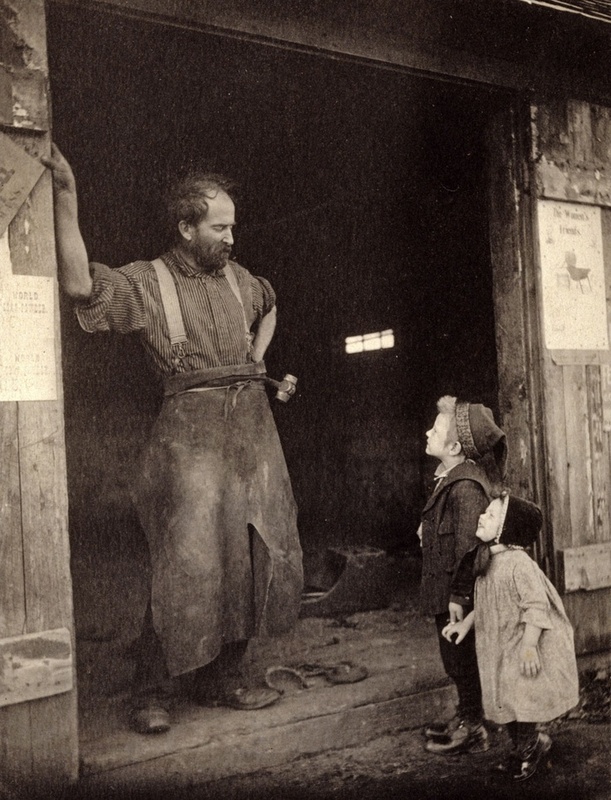 It’s about a family in the mid 1800’s and one of the young sons works at the livery. Also, I go involved “ARewording Life ” http://www.arewordinglife.com/ which is a charity writing project to raise money for Alzheimer research. Writers were assigned an uncommon word. They had to write a sentence that used the word and would allow people to infer the meaning of the assigned word. My word was “farrier”. It was really quite fun. The man in the second photo does capture the imagination. He looks like he is evaluating a half truth from one of the children.